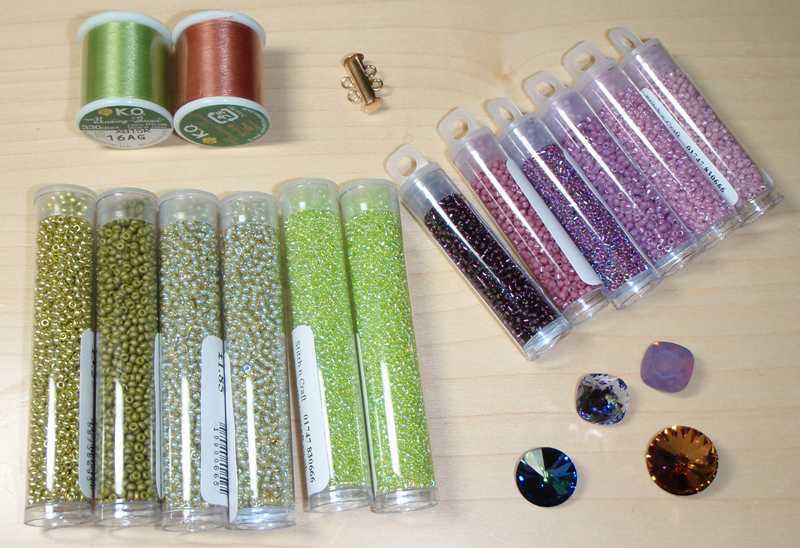 Yes, it's Christmas time, I am panicking and beading is, of necessity, taking a bit of a back seat. 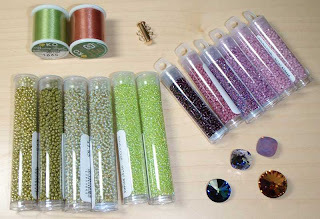 I have put aside a new beading pattern and the requisite beads as a treat to myself, once things are back under control!!. You can see the type of embellishment on the straps is minimal, really just to cover the joins﻿. Once the straps are finished, I'll make a beaded toggle clasp and possibly fringe the centrepiece...time permitting! Also on the agenda this week: shopping for more presents, cooking up some edible presents (cranberry cake, gingerbread, peppermint creams and fudge) and decorating the house and tree. Two more days of work still to go however, so I'd better get on!